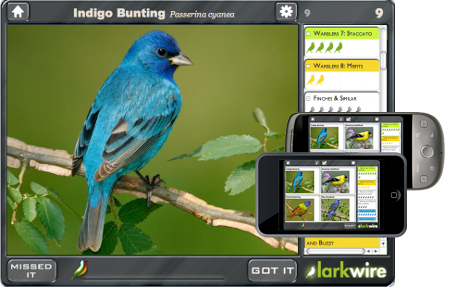 Larkwire is a complete, game-based learning system for mastering bird sounds—designed for both beginners and advanced birders. 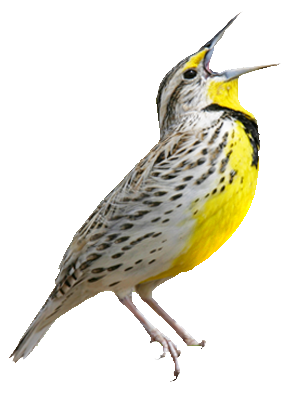 Completely customizable—learn the bird sounds you want to learn. 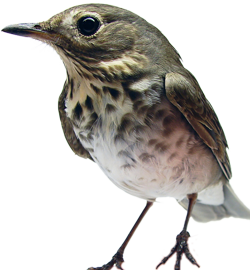 Unprecedented coverage of birdsong variations encountered in the field. Larkwire can be purchased through iTunes or as a web-based "app" that works on any computer (including many phones and tablets). Find more birds—and know them better. Birding by ear helps you find more birds—lots more. But it also helps you enter their world in a new way. Birds are constantly using sounds to communicate and express themselves. Larkwire helps you listen in. Birding will never be the same. Larkwire is already helping immensely with my ability to bird in the field. And my 7-year-old daughter is asking for "that bird song game on the computer. "—I guess you have THREE of us hooked!